UPDATED: Wed., Oct. 3, 2018, 11:05 p.m. 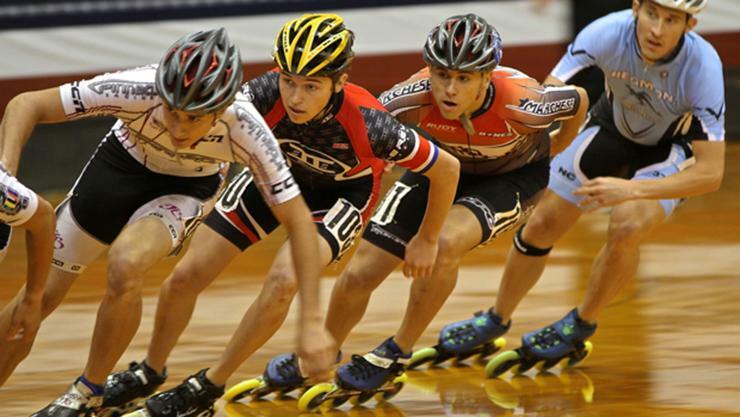 The 2019 USA Roller Sports National Championships will bring about 3,000 contestants to the Spokane Convention Center next summer for nearly a month of youth and adult competitions, generating about $11 million in local sales. The “spectator friendly” championships will feature figure skating, roller derby, hockey and speed skating, said Eric Sawyer, chief executive officer for the Spokane Sports Commission, which landed the event. The convention center, along with Spokane Veterans Memorial Arena, hosted the 2007 U.S. Figure Skating Championships. Other high-profile sporting events for the venue include national qualifying volleyball tournaments, wrestling tournaments and past roller derby events. The USA Roller Sports championships will take place July 17 to Aug. 7, during a period that’s typically slower for business meetings, Sawyer said. As a result, “we’ll be able to fill in some gaps,” he said. Local hotels expect to book 12,500 overnight stays from the event. About 4,700 out-of-town spectators are expected for the championships, which will feature dozens of national titles. Sawyer said the Spokane Sports Commission will “roll out the red carpet” for the event, with the goal of bringing the roller championships back to Spokane in future years. Hosting the 2019 championships presents “a good opportunity to try to land it again for the opening of the new sportsplex,” Sawyer said. A $42 million prep sportsplex near the Arena is tentatively scheduled to open in fall 2020. Lydig Construction and Integrus Architecture were awarded a design-build contract from the Spokane Public Facilities District for the 180,000-square-foot complex, envisioned with an indoor track and room for basketball, volleyball, gymnastics and wrestling. Spokane is the first Pacific Northwest venue for the roller championships, Sawyer said. Having the event here could boost leisure travel in the region for years to come, he said. “If people come as part of a sporting event, they tend to come back as a tourist,” Sawyer said. Published: Oct. 3, 2018, 6:07 p.m. Updated: Oct. 3, 2018, 11:05 p.m.